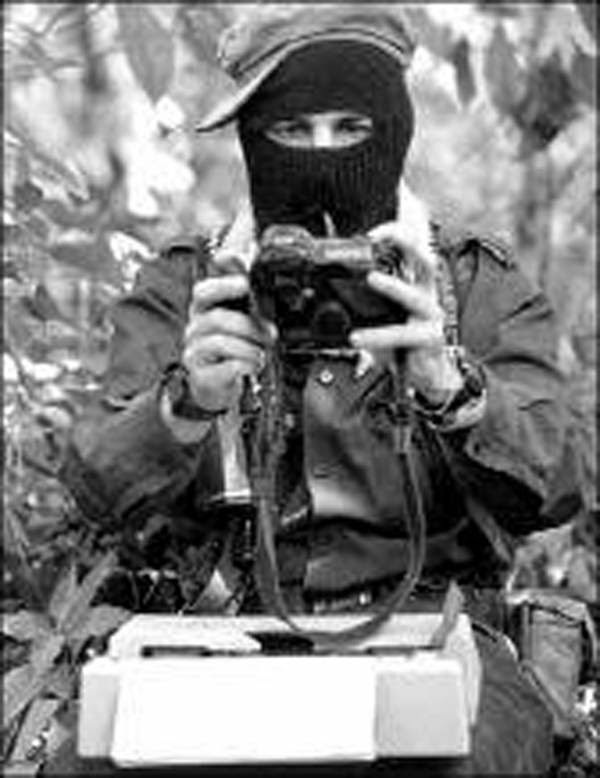 To all the compañeras and compañeros of the EZLN, the CNI, the Sixth Declaration of the Lacandon Jungle of the EZLN, to the free media. We are prisoners from San Sebastian Bachajón, adherents to the Sixth Declaration of the Lacandon Jungle of the EZLN, Emilio Jiménez Gómez who for 2 years and Santiago Moreno Pérez for 7 years, have both been unjustly imprisoned in Cereso No 17 at Playas de Catazajá. We are tired of being imprisoned, but when we leave we will keep up the struggle because there is no other option. We offer our solidarity to and ask for mutual support with other prisoners who are struggling from below and to the left for the freedom of everyone, so we ask you to keep following what happens to the prisoners. We link together with the compas from San Pedro Tlanixco, we ask everyone to move forward with them and to be aware of the legal process of their prisoners and their struggle to be released soon. We say to our compañeros prisoners of San Pedro Tlanixco, carry on forward from within, do not give up and keep fighting for your freedom, for the defence of your water and land, as we will also do from San Sebastián Bachajón, we do not want anyone to come and take away what is ours for always, because we have children and it is the legacy we will leave them, so we do not want them to dispossess us and this is why we will defend the mother earth and the peoples who care for her. We greet and thank everyone who walks beside us in the struggle for freedom and the defence of Mother Earth. Adherents to the Sixth Declaration of the Lacandon Jungle of the EZLN, from the ejido San Sebastián Bachajón.